Exclusive Pic - Mahesh Babu Sweating Out For Six Packs? 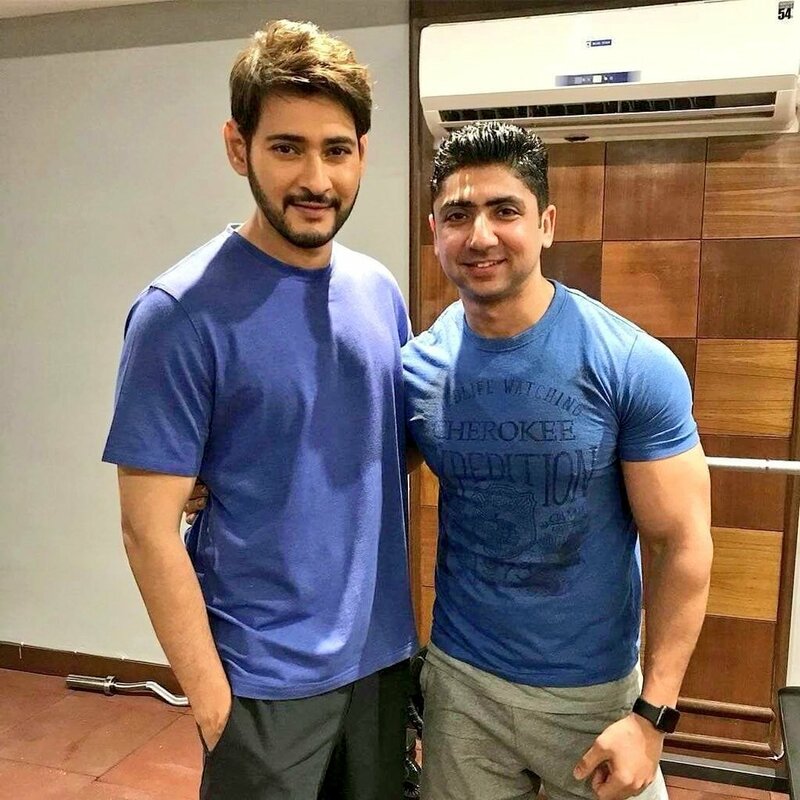 Exclusive Pic – Mahesh Babu Sweating Out For Six Packs? We all know that superstar Mahesh Babu has already undergone a lot of makeover for his upcoming film under the direction of Vamshi Paidipally. He sported a new hairstyle and heavy beard which is styled by Hakim Alim for this 25th film and as per the latest updates, at the age of 43, he is trying out for six packs. When coming to the news, he hired a Bollywood trainer and sweating out daily for the abs. Recently, he shared a photograph with the trainer in which we can see the actor with a toned body. During the shooting of Nenokadine, the rumors of him sporting six-pack abs went viral, but he shut down the rumors that he is not interested in it. But this time, because of Vamshi, he is going to be a visual treat for the audience in this new look. Like his friends, Jr NTR and Ram Charan, Mahesh also toning his body a lot these days. However, the fans are excited to see his new look.